Urban Adventures Summer Day Camp registration is still open! If you would like to register your child for weeks of fun with crafts, games, songs, and outdoor exploration, contact Nia at 978-974-0770 x7008 or email today! Support the Lawrence community and vote for the Lawrence Farmers Market in America's Favorite Farmers Markets™ contest! 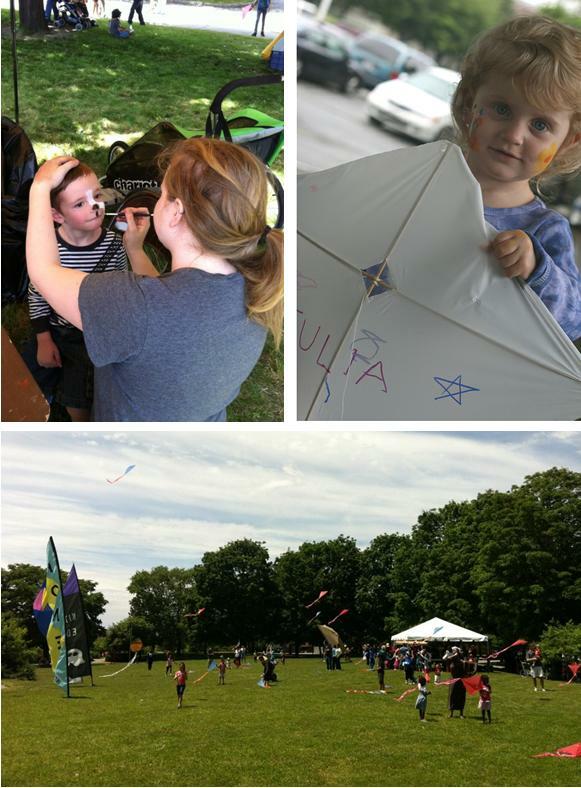 The Kite Festival on June 9th was a balst! Thank you for coming out and supporting Groundwork Lawrence! The Lawrence Farmers Markets are starting July 7! The Saturday Market offers a fun time for the whole family. Children and grandparents are commonly in attendance, along with lively music, and an atmosphere that is welcoming and relaxed. It's a place where you can spend as much time as you want enjoying the festivities of the market, socializing with other customers/vendors, and enjoying the simple pleasures in life. The Wednesday Market really gets down to business. This market embodies the rare occurrence where friendly people and atmosphere coincide with the life of the busy worker. Customers are always welcome to stick around and enjoy the market, but they also can be in and out just as quickly with a bunch of tasty fruits and veggies tucked in their bags. Though both markets appeal to different preferences, they are always filled with energy and excitement. Come see for yourself! 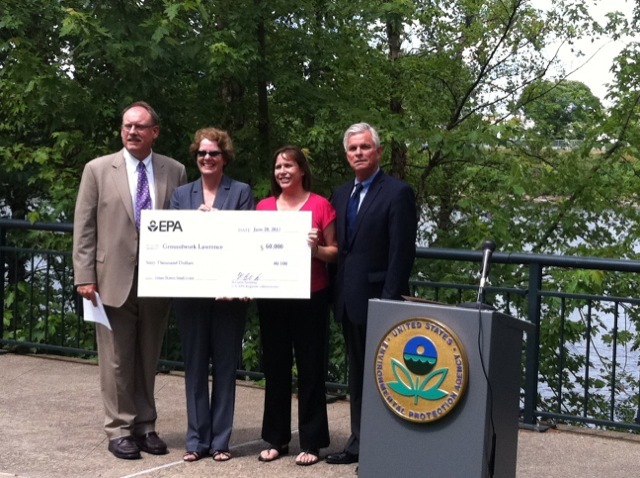 The EPA awarded $60,000 to Groundwork Lawrence for the "Spicket River Restoration Partnership". 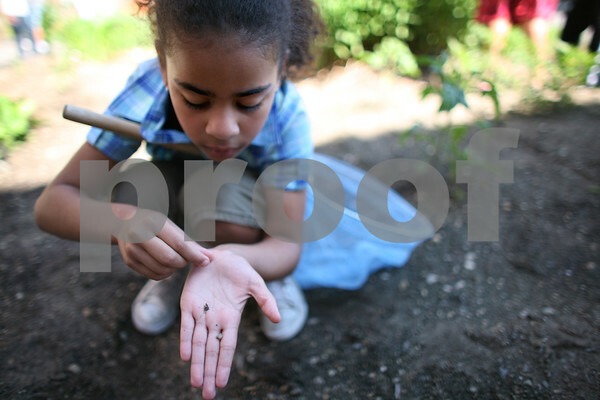 The grant, one of two given in Massachusetts, is part of $2.7 million that the EPA awarded nationally to 46 organizations in 2012. We are very excited to be among the recipients of this grant program, and look forward to using the grant money to achieve the goals of the Spicket River Restoration Partnership. Thank you so much to all of our donors who have already contributed towards Share-a-Share™ this year. We are getting closer to meeting our goal of $15,000 that will go towards making fresh produce affordable and accessible to community members in need. This year, donations will provide more CSA shares to those in financial distress, gift cards and incentive programs for our Farmers Markets, and fresh food donations to food pantries. We are deeply grateful for your partnership in extending the harvest! If you haven't yet contributed towards Share-a-Share™, we hope you will consider it today!